Welcome to my new Wednesday series! This is something I’ve been wanting to do for awhile now, and I think today is a fine day to start! 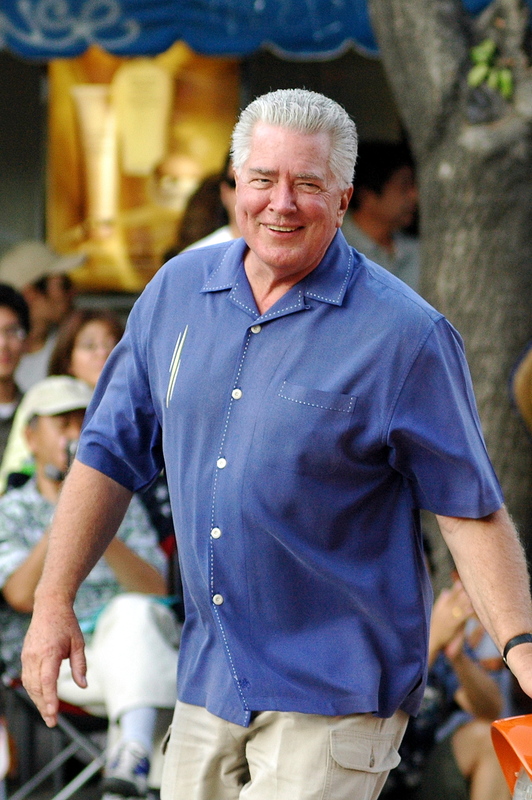 For more than two decades, viewers of public television in California have come to know and enjoy the work of Huell Howser as he explored little corners of the state and invited us to “come on along.” He went on to create a number of similar shows — California’s Golden Parks, California’s Missions, and Road Trip, to name just a few. Huell inspired a lot of people in California to get out and explore their state, and to look at things in a new way. He liked to say, “Well, the adventure continues…” as he traveled from one site to another in each episode, and that phrase has come to mean a lot to me. It’s a great way to look at life — choosing not to get dragged down into a rut, never pausing to look around you and enjoy the small things in life. Life CAN BE an adventure, if we only open our eyes and our minds to the possibilities. There was always something so amazing to me in the way he approached people in a casual, friendly way and they (usually) responded by opening up and sharing their own feelings and experiences. When I found this archive of Huell Howser’s shows, I was excited to share it with anyone who might find some enjoyment in going along with him on his little adventures, seeing some unexpected sites and meeting all manner of people… and learning quite a bit about California’s past. This episode, first aired in June 1994, focuses on the Special Olympics. The Special Olympics first came into existence as Camp Shriver in 1962, when Eunice Shriver (the sister of President John F. Kennedy) was searching for ways to provide intellectually challenged individuals with opportunities to play sports, to stretch and increase their own capabilities, and to gain self-confidence. From its origin in Mrs. Shriver’s back yard, the Special Olympics has now grown to a world-wide phenomenon. In 1993, they celebrated their 25th anniversary, and Huell Howser was there to experience it first-hand… and to share it with all of us, his viewers.